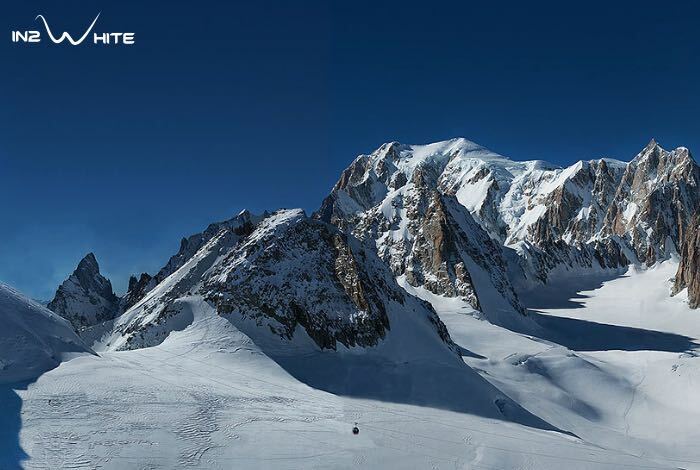 A team of photographers led by Filippo Blengini have created a panorama of the Mont Blanc the tallest mountain in the European Union which consists of 70,000 images or 46 terabytes of pictures stitched together into one massive 365 gigapixels picture. The photography team spent 35 hours over two weeks at 3500 meters, recording the image using a Canon 70D DSLR with a Canon EF 400mm f/2.8 II IS lens and an extender that was attached to a robotic mount. To check out the finished photograph jump over to the In2White website below to be able to zoom in to any point with awesome detailing. As well as see how the image was created by the team at 3500 meters.